The higher education policies and practices in other states, particularly those with large and diverse populations, may offer lessons for California in its efforts to increase degree production. Florida is viewed as a reform-oriented state in the area of education policy, and has participated in a number of recent national projects focused on improving student outcomes. It is the fourth-largest state in the country and, like California, has a large public higher education system that relies heavily on its community colleges. 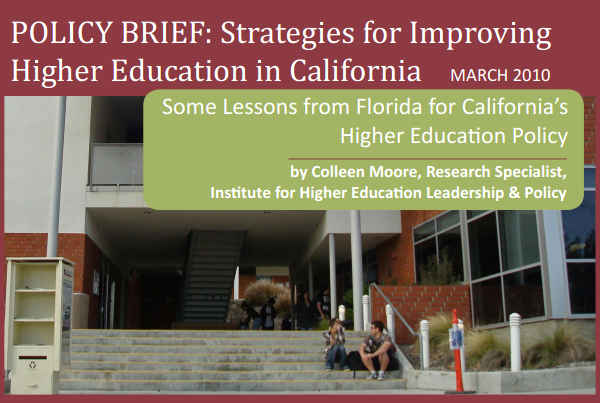 This report explores some of Florida’s best practices and what California might learn from them.